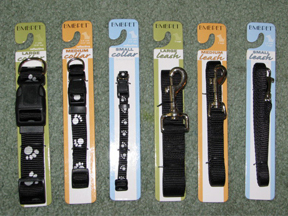 Puppy collars and leashes for your pet. Dog & Puppy collars and leashes. Bags on Board Retractable Leash for your dog or puppy. With this leash you always have some handy clean up bags ready for use. 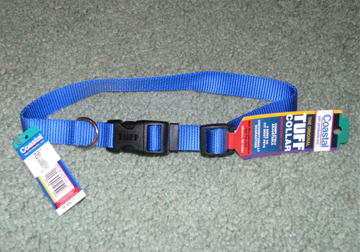 This Nylon Tuff Adjustable Dog or Puppy Collar. Nice because you can fit it to your puppies special neck size. Adjustable Nylon Mint Green Collar and Leash for Dogs. A dog or puppy collar for all you colorful pet owners. 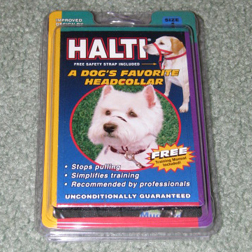 Halti headcollar great for stopping pulling, simplifies training and is recommended by professionals. Please check for the correct size. 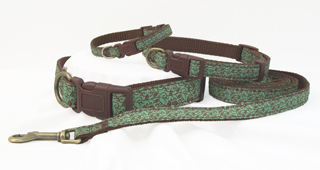 Aqua and deep burgandy dog collars. Matching Ocean Dots aqua and deep burgandy leash. Argyle Pink and Grey Dog Collar. For that cute and preppy pet. Matching Pink and Grey Argyle Leash. Black and White Park Avenue dog collar. Give your puppy that classy look with this elegant fashion collar. Tuff and Rugged "Street Hound" Dog Collar by BMB Pet. Easily adjustable and durable nylon and strong plastic dog collar. Metrocity Dog Collar. Perfect for that fun and modern dog of yours. Collar is easy to adjust and is long lasting and made of durable nylon. 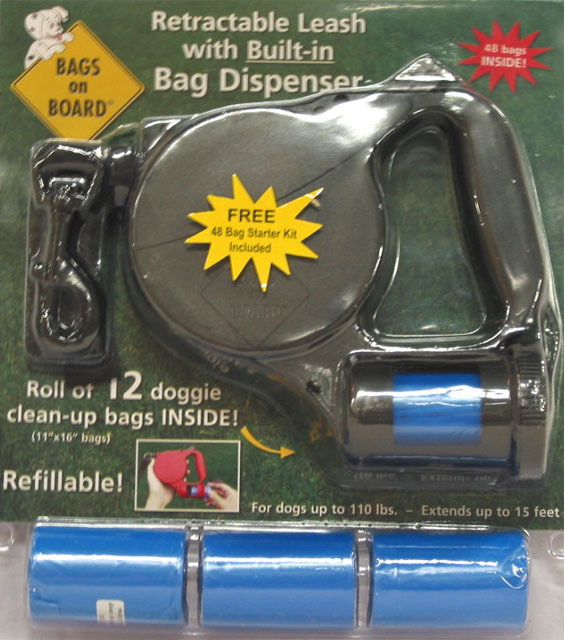 Comes with slick and easy to use tuff locking clip. Matching Red, Pink, Black and Yellow Metrocity Dog Leash by BMB Pet. 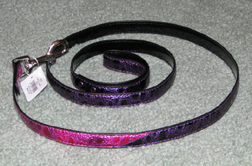 Matching Rock Candy Purple and Pink Dog Leash. 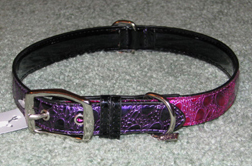 Beautiful and Stunning Puple and Hot Pink Dog Collar. 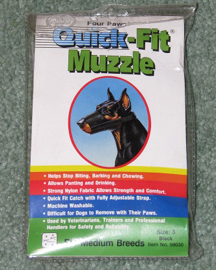 Quick-Fit Dog Muzzle helps stop dog biting, barking and chewing. Allows for panting and drinking. Please check for the correct size. Name I.D. Dog Tags for your Pet. 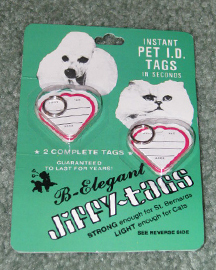 Strong and durable name tags for your dog sealed in plastic and guaranteed for years. Set of 12 AG3 replacement batteries for pet blinkers. 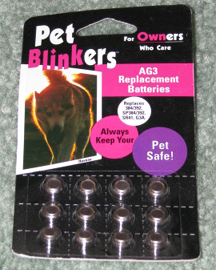 Pet Blinkers can help keep your dog safe and seen at night. 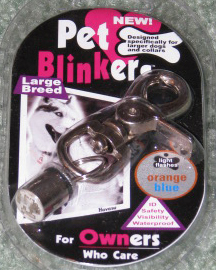 Dog blinkers come in 2 sizes small/medium and large. This dog post holds dogs up to 150 lbs. and swivles 360 degrees.